Every winter, tragedy strikes in the form of the silent, odorless, colorless gas known as carbon monoxide or CO. This gas is commonly found in fumes produced any time you burn fuel. For example, we produce this gas when we run our cars or trucks. We also produce this gas around our homes when we use grills, stoves, fireplaces, and furnaces. Without proper ventilation, CO can build up indoors and poison people and animals who breathe it in. We often hear of tragedies during the winter when snow blocks vents where the gas is expelled from the interior of our homes. 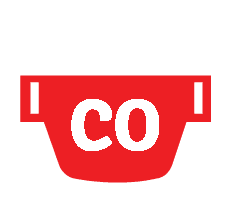 Due to this, we thought now would be a good time to remind our readers and clients about the symptoms of CO poisoning and what you can do to prevent a catastrophe from happening in your home. The Centers for Disease Control (CDC) tracks and monitors the number of injuries and fatalities due to CO every year. They note that the symptoms of a poisoning include headache, dizziness, weakness, upset stomach, vomiting, chest pain, and confusion. CO symptoms are often described as “flu-like.” If a large amount of CO is breathed in, it can cause a person to pass out or possibly cause death. People who are sleeping or drunk can die from CO poisoning before they even have symptoms. The best way to prevent a CO poisoning in your home is to install and regularly change the batteries to a CO monitor on every level of your home. Be sure to service your heating system annually to be sure it is working properly and not putting off too much CO.
Never use a gas grill inside your home or garage or, for that matter, close to the doors or windows of your home. This also includes the warning to never burn charcoal indoors. Burning charcoal – red, gray, black, or white – gives off CO.
Never use a portable generator inside a home. The CO will build up and be more than you can handle. Remember this when the next snow storm hits and place your generator a good distance from your home. Make sure your gas appliances are vented properly including your furnace, stove, and dryer. Especially, check outside your home to be sure that mounds of snow have not built up in front of the vent. Each year, more than 400 Americans die from unintentional CO poisoning not linked to fires, more than 20,000 visit the emergency room, and more than 4,000 are hospitalized. If you need help installing or choosing a CO monitor for your home, then give us a call at 800-499-9070, or visit our website at https://instantalarm.com/.